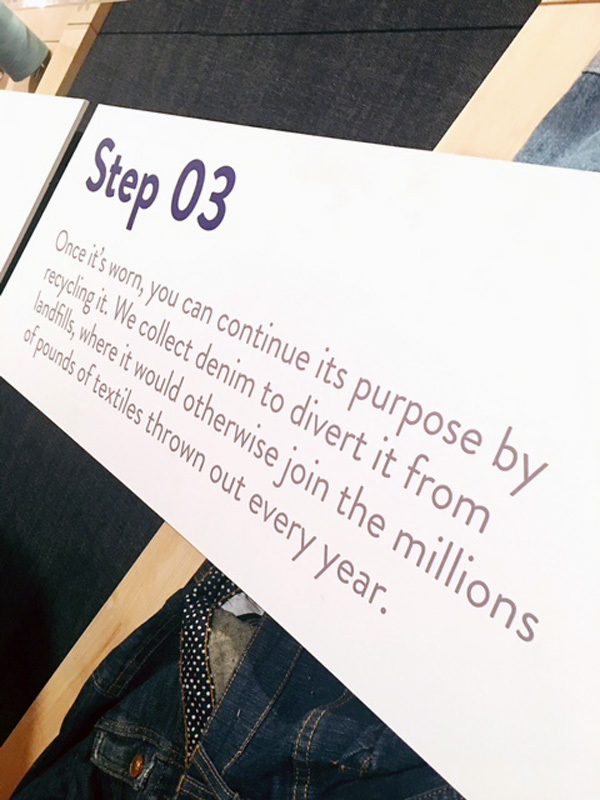 This year I got a chance to celebrate the 10th Anniversary of Blue Jeans Go Green Denim Recycling Program with a pop-up art gallery in SoHo. 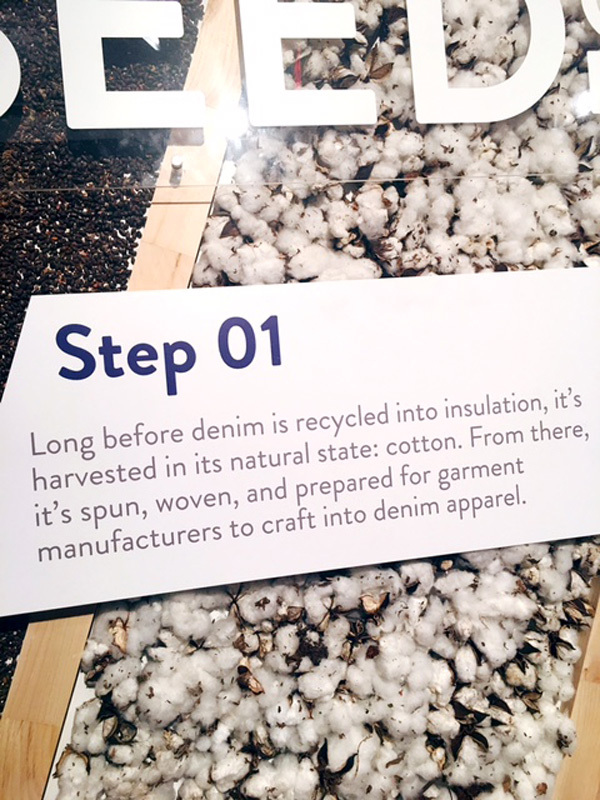 By recycling worn denim into insulation, the Blue Jeans Go Green program keeps textile waste out of landfills and helps with building efforts in communities around the country.E ver since Cotton Incorporated started the Blue Jeans Go Green program in 2006, over one million pieces of denim has been diverted from landfills and over two million square feet of UltraTouch Denim Insulation has been generated. 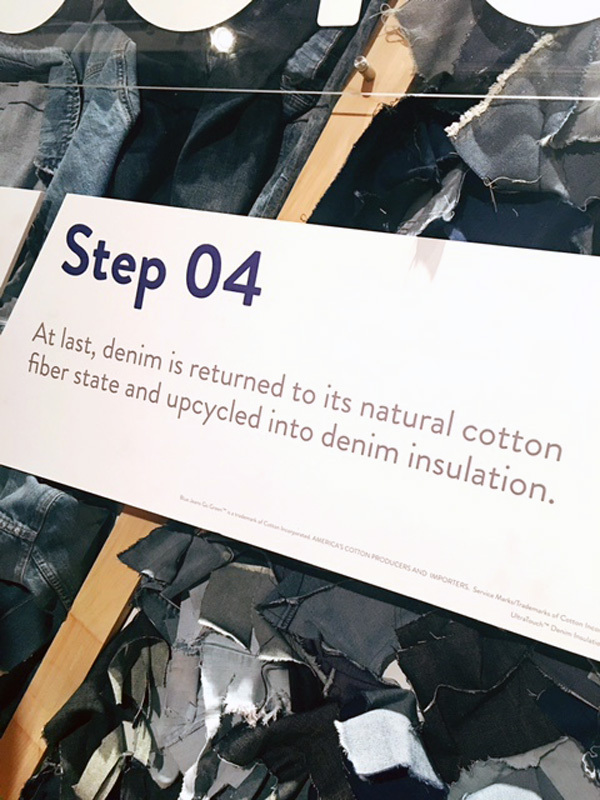 In honor of our 10th Anniversary, three artists, Jeremy Penn, Baron von Fancy and Curtis Kulig, were commissioned to create a piece inspired by the Blue Jeans Go Green program. Beginning on Monday, November 21 and running until Wednesday, December 21, the artwork will be auctioned off in exchange for denim currency on ArtMarkit.com. 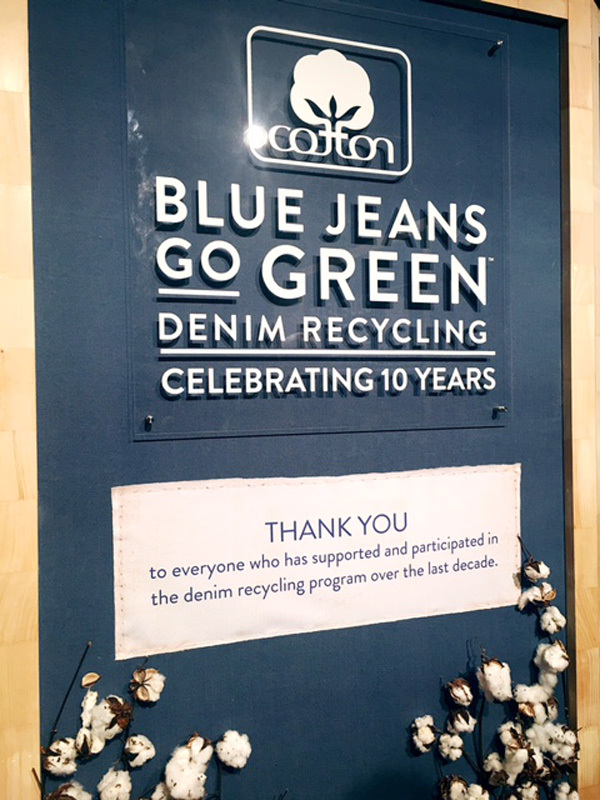 Can’t afford to bid at the auction but still want to support #bluejeansgogreen? 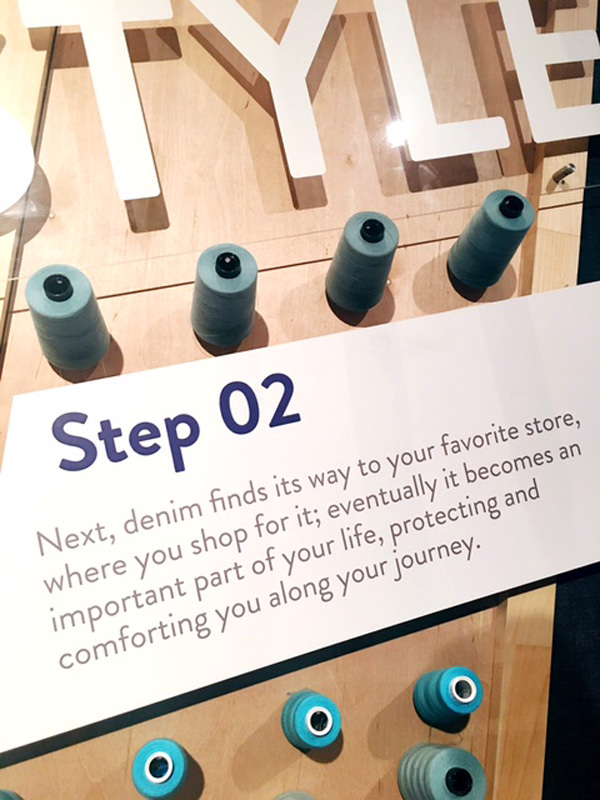 Drop off your denim or mail it in to them. 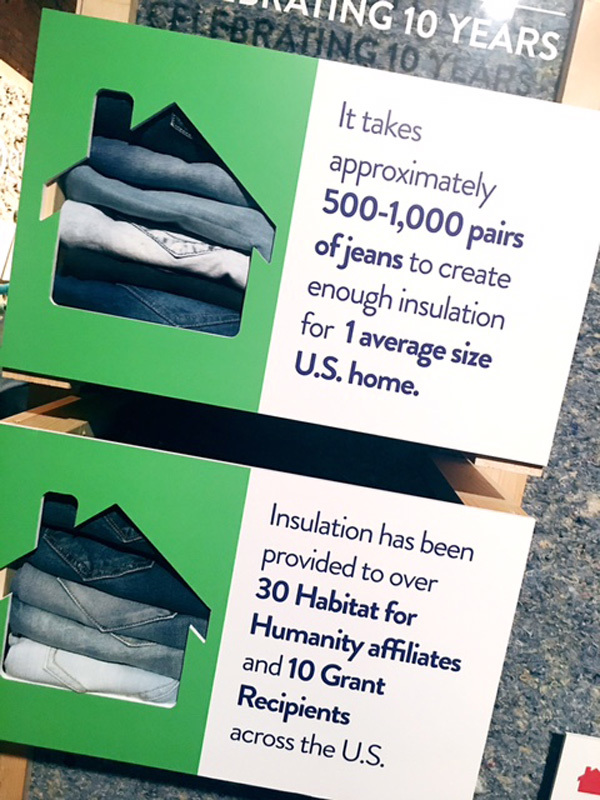 Every item makes a difference, and everyone’s invited to contribute!